These competitions are closed. Congratulations to Megs K. (winner of the Pecan Pack) and Jessica C. (winner of the Darrell Lea Liquorice). We have a pecan pack to give away thanks to Pecan Fan. 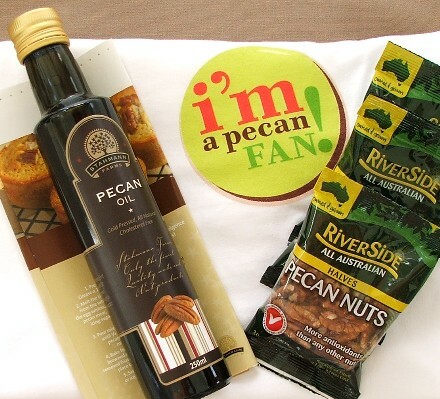 The pack contains three 30 gram bags of Riverside Pecan Nut halves, one 250ml bottle of Stahmann Farms Pecan Oil, a Pecan Fan T-shirt and pecan recipes. What's your favourite way to use pecans in cooking? We will select our favourite response and post the winner's name on this page by 6th April 2011. Prize can be posted to an Australian address only. There is a limit of one entry per competition per person. The competition commences on 1st April 2011 and closes at 11.59pm AEST on 4th April 2011. There will be one winner, who will receive a pecan pack as described above. The winner's name will be published on this page within two days of the competition close date. The winner will be notified by email. If the winner does not respond with their postal address within five days, another winner will be selected. Thanks to Darrell Lea, we have two 300 gram bags of their Batch 37 Original Soft Eating Liquorice to give away to one reader. If you could design a Darrell Lea product, what would it be? 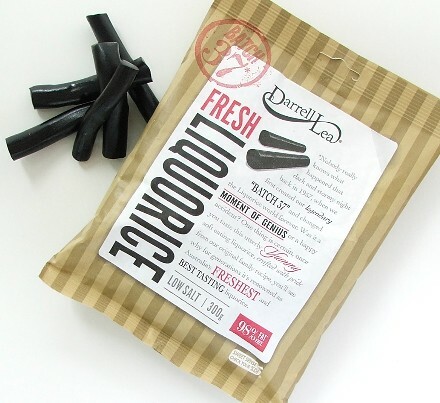 There will be one winner, who will receive two 300 gram bags of Darrell Lea Batch 37 Original Soft Eating Liquorice.